67020 passes Didcot North Junction on 3 September 2014 with the 1Q23 10:09 Derby RTC to Derby RTC (via Didcot) test train. Classmate 67030 is on the rear of the train. 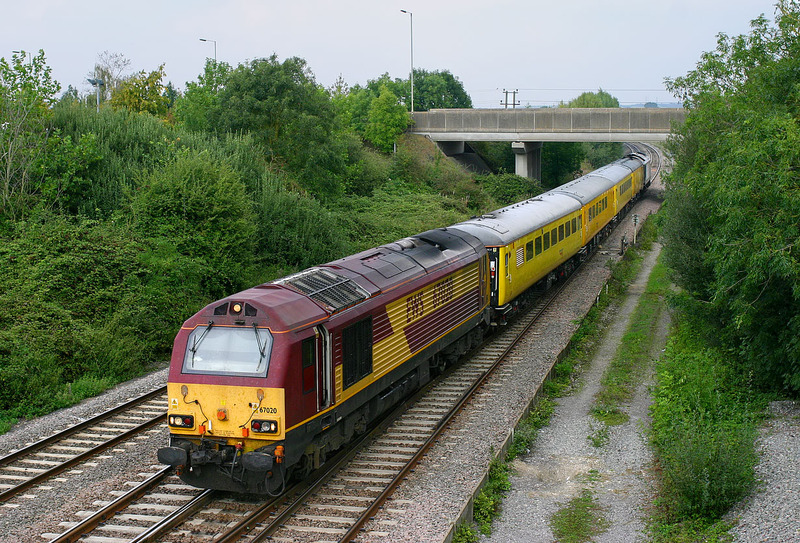 This ensemble was unfortunately deputising for the much more photogenic HST New Measurement Train.